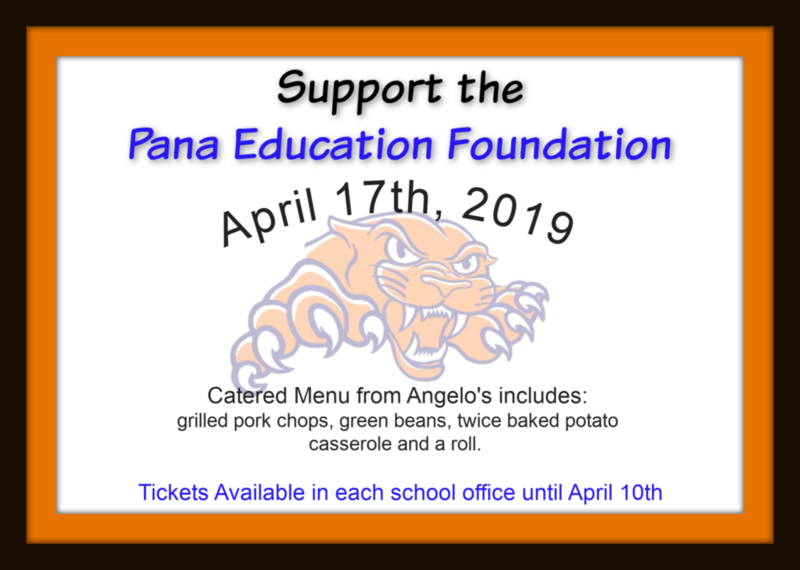 The Pana Education Foundation is once again having an Angelo's Spring Meal Fundraiser on April 17th. Meals can be picked up at the circle drive of Pana High School between 4 and 6 pm. Tickets are $10 per person and will be on sale in each school office until April 10th. Please consider purchasing a meal (or more) for this fundraiser. All profits support PEF Scholarships for students furthering their education, the 1:1 Chromebook program, and the Classroom Mini-Grant Program. This year's menu includes a grilled pork chop, green beans, twice-baked potato casserole, and a roll.